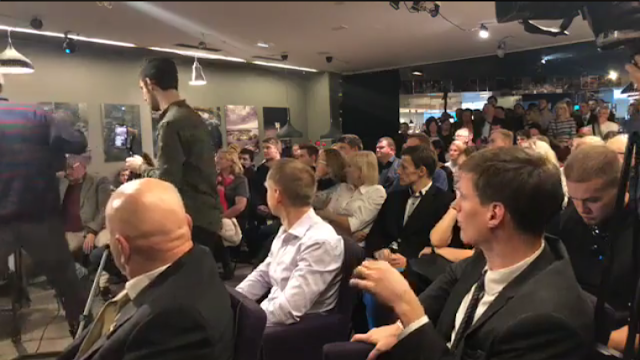 Or one of our surrounding conference events. 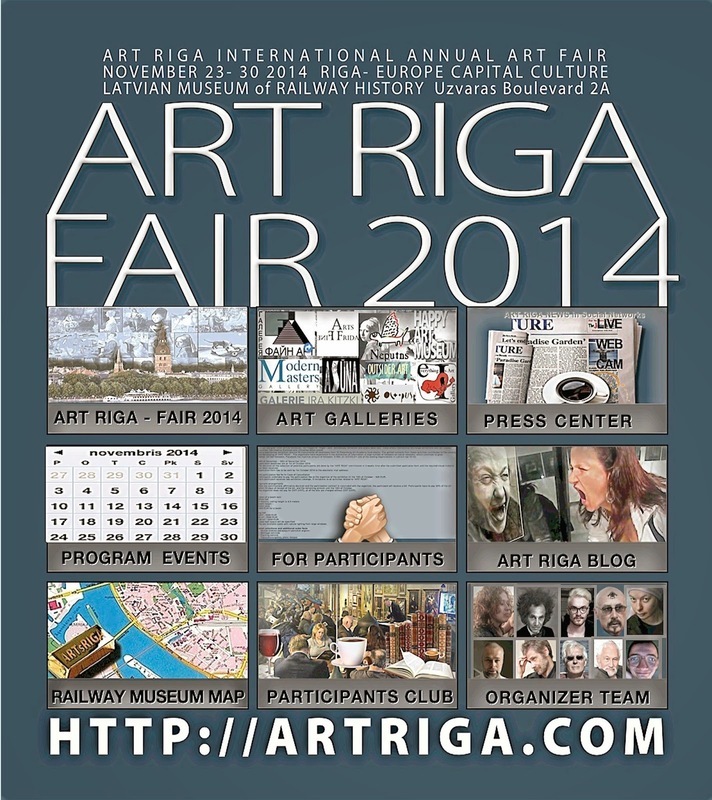 PROGRAMME EVENTS of ART RIGA FAIR 2014 — THE ANNUAL INTERNATIONAL ART FAIR of the BALTIC REGION. 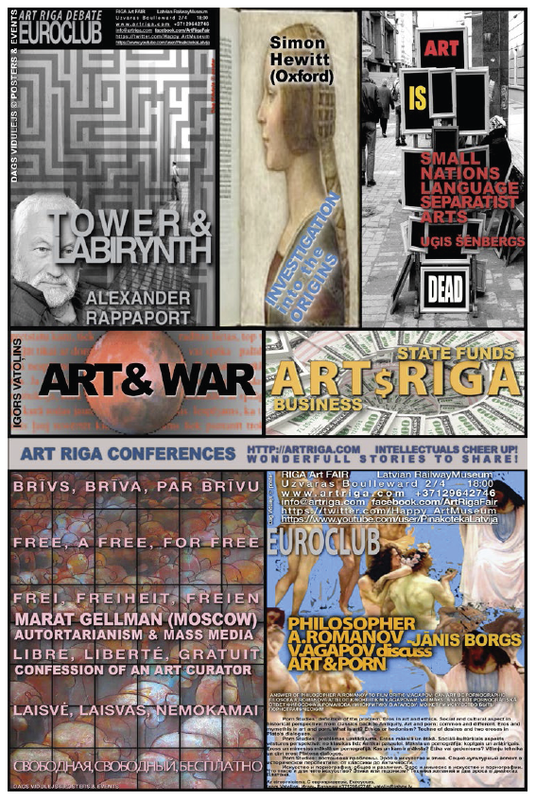 28.11 13:00 CONFESSION OF AN ART CURATOR.MARAT GELLMAN "AUTORITARIANISM and MASS CULTURE". 30.11.2014 13:00 Conference 17:00–21:00 Exhibition packaging for transporting. 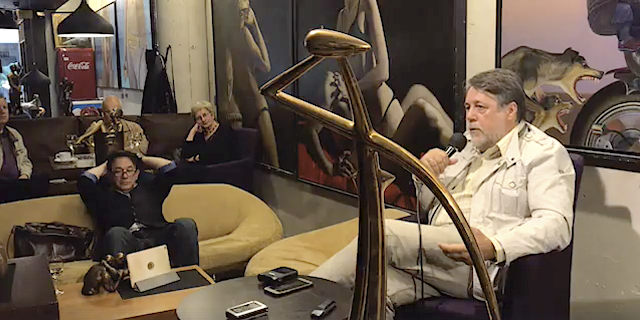 JOIN THE PROJECT VIP PROGRAM AND GET YOUR PRIVILEGES!ART LOVERS WORLDWIDE invite You to participate- the event will be officially opened in the presence of the artists, authorities and representatives of the artistic and business elite. RIGA 2014-EUROPEAN CAPITAL OF CULTURE A large international PR-campaign project will be held to draw the attention of the public and Culture Institutions- success to open up opportunities for long-term development. THE CATALOGUE AND WEB PAGE information about all participants. 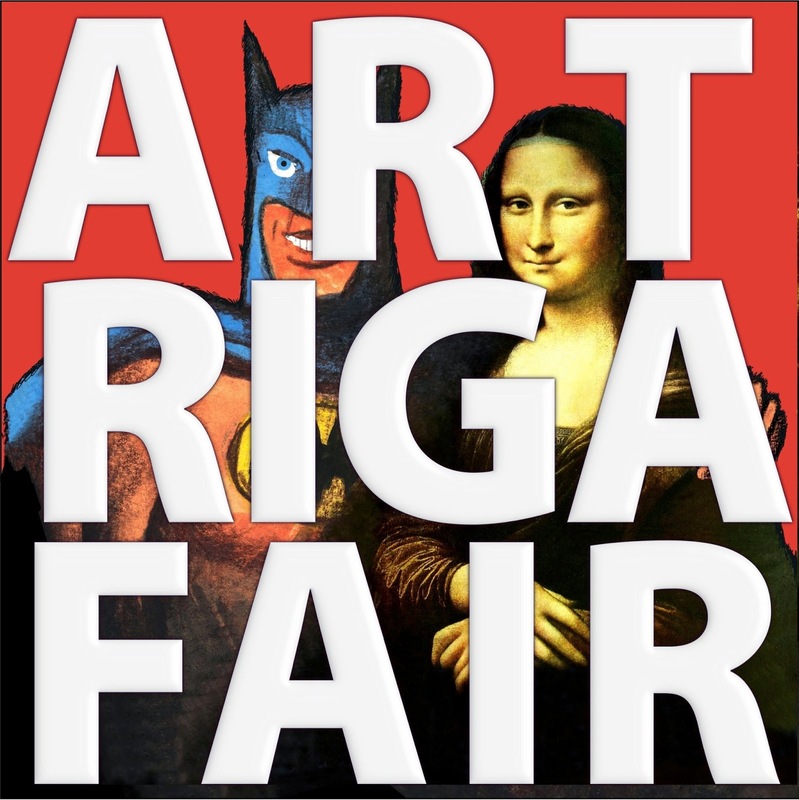 ART RIGA” mission- We offer the best contemporaries Galleries collections: paintings, sculptures, graphics. 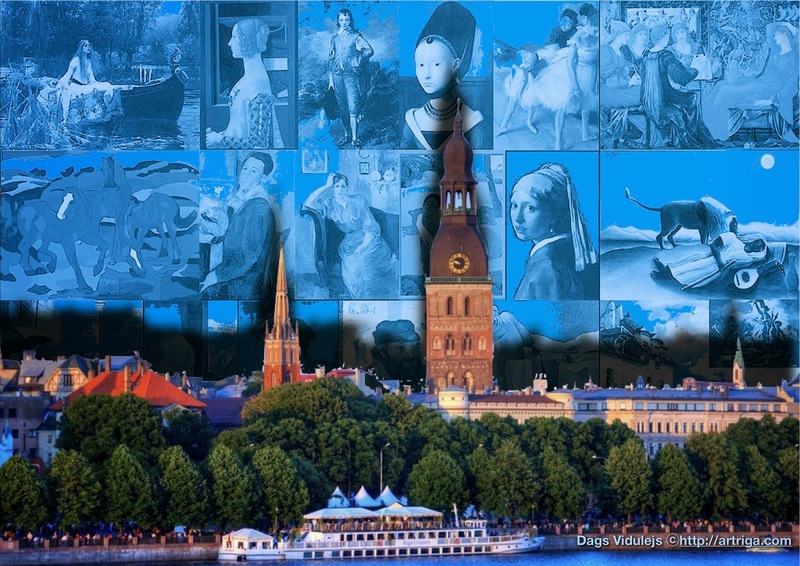 Every Gallery represent regional collection of high quality works of recognized professionals. 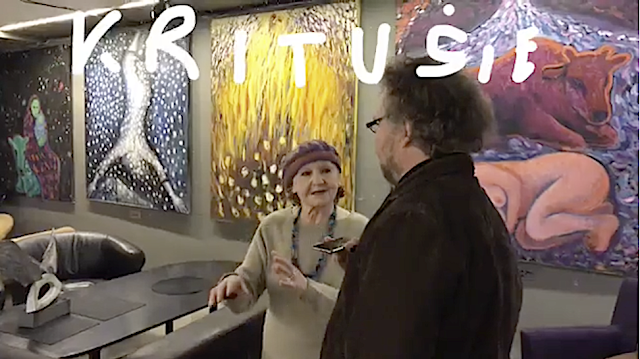 INTELLECTUALS- WONDERFUL STORIES TO SHAREArt Riga was glad to initiate the ART DEBATE, a series of lectures given respected curators, experts and dealers- brilliant talks in video on our web page.